A home has to have water, but if you’ve chosen to live life off the grid, you may be wondering how, exactly, you can provide water to your home and family. Green Water Technologies touches on homestead water sources in the following brief question-and-answer session. Q: How can I determine if a piece of land has a hidden water supply? Green Water Technologies: Fortunately, water is almost everywhere. However, not all water is created equally. 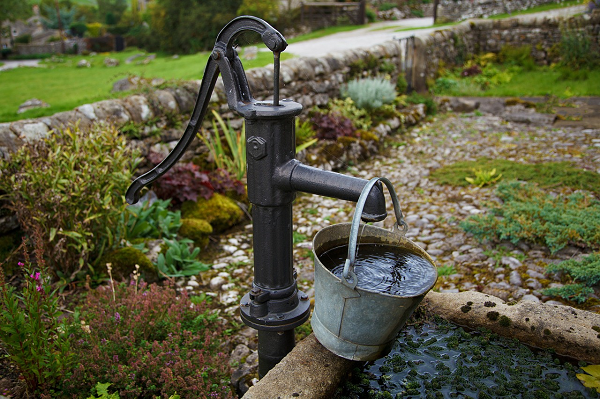 Before purchasing acreage, talk with both the real estate agent and the local water systems council to determine if local groundwater stores are readily available and clean. Further, you can also speak with your local agricultural college extention or ag department, which will likely have a wealth of information about the local landscape. Q: What if I can’t build a well? Green Water Technologies: A well is by far the most common source of water for homes outside of county or city-based plumbing systems. But, there are other sources, including surface water and rainwater. Q: Is it safe to drink water from a lake, creek, or river? Green Water Technologies: Moving bodies of water are usually best as they are not prone to algal contamination. However, most freshwater can be easily purified for home use. In fact, there are more than 13 million homes in the US that rely on groundwater to meet their needs. Q: How deep should a well be dug? Green Water Technologies: That depends on how far down the water source lies. A drilled well is usually around 25 feet deep, just enough to drill through several feet of surface soil and bedrock. For water that is deeper than this, special equipment may be used to dig to a depth of 100 feet or more.